All stations of the Moscow Metro will get time countdown boards, informing bout time before the train arrival by the end of 2015. 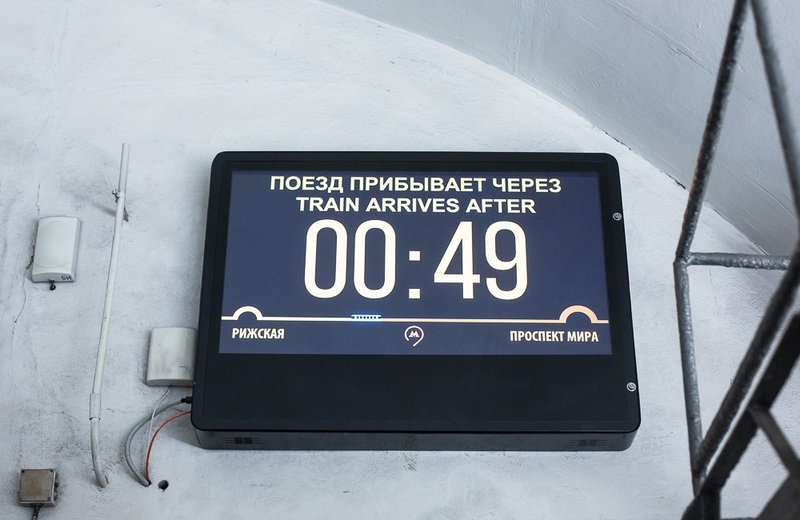 The first deputy chief of the Moscow Metro Yury Degtyarev reported that the experiment on placement time countdown boards at the stations was successful and passengers gave positive responses. Boards will be installed at the exit from the last car near the tunnel. Information on train waiting time will be shown on the plasma panel — in the form of a stopwatch, and as a graphic scale displaying movement of the train in a tunnel in real time. The first board appeared at Prospect Mira radial metro station at the end of last November.